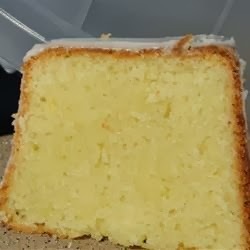 Buttermilk Pound Cake | FoodGaZm..
Preheat oven to 325 degrees F (165 degrees C). Grease one 9 or 10 inch tube pan. Mix together the flour, baking soda, and salt. Set aside.